If you’re an estate planning attorney running your own law practice, we are certain that you have experienced the roller coaster of ups and downs that come with running a professional practice. In recent years, living trusts and wills have become a commodity and there's been a great deal of market competition added with the do-it-yourself kits and the cheap internet plans. 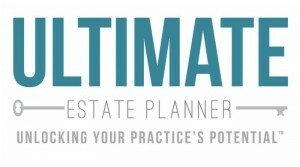 For the Estate Planning Attorney, we have a number of valuable tools to help you in your practice. Whether you're a true solo practitioner, part of a mid-size firm, or part of the estate planning department of a much larger firm—and whether you have 3 years, 13 years or 30 years of experience—there's something for everyone! Pet Trusts, OBITs, JESTs and more! Find out what law school didn't teach you—how to actually develop, build and run a successful law business! Implement marketing strategies that actually work to develop a predictable stream of new clients and revenue. Select from a vast library of legal, technical, practice-building and marketing teleconferences and On-Demand programs. Let us show you the "missing link" and help you learn how to develop a successful referral relationship with financial advisors that actually works! Anything from engagement letters, disclaimers, client sign-offs, and more! Learn how to explain, market and engage more clients for various estate tax and asset protection planning techniques. Need some one-on-one advice and guidance? We can help! Phil’s program was by far one of the best marketing seminars that I have ever attended. He’s become my new Marketing Mentor! The information that I received, including the Manuals and Seminar Marketing materials that I received from Phil’s program has literally turned my practice around! The support that we received (and continue to receive) from Phil’s team is nothing less than outstanding. I have started to use Phil’s Living Trust Seminar and the response has been tremendous! My calendar is now full and I have fees coming in the door to fund future growth. To say that I am excited is an understatement. The money that I spent to attend Phil’s program was the best money I have ever spent! I had the opportunity to meet Phil back in the 1990’s and attended his Boot Camp again with high expectations and I was not dissatisfied at all. In fact, I recovered all of my expenses to attend in a matter of a couple of weeks just using one of the many tools that we received. I can now say that I have earned a very substantial amount of money due to the tools and concepts shared by Phil.